The airlines’ most valuable customers, those who fly most often and spend the most money, receive the sorts of benefits that most travelers can only salivate over — lounge access, free checked luggage, free upgrades, free itinerary changes. But most travelers aren’t constantly flying, and they will find that the airlines have made it a lot more complicated to qualify even for a piece of that good life. “You practically need a Ph.D.” to understand and compare all the complex rules among the different airlines, said Jamie Larounis of the travel blog The Forward Cabin. Three of the major airlines in the United States, United Airlines, Delta Air Lines and American Airlines, each have four frequent-flier status levels and different formulas to compute the tiers. Alaska Airlines has three tiers and Southwest Airlines two; JetBlue has one. In the past few years most airlines have added spending requirements to their frequent-flier programs. Customers seeking elite status first need to understand that not all miles flown and dollars spent are equal. There are “qualifying” miles and dollars (sometimes called elite qualifying, medallion qualifying or premier qualifying). Those count toward achieving status with the airline. Other miles and dollars can be redeemed for flights or other items but do not help the flier get the top benefits. To figure out which miles and dollars qualify for status, travelers often have to read the fine print on airline websites. A flier who has attained MVP status — the lowest frequent-flier status — on Alaska earns, for example, 50 percent bonus miles on flights they take. Those miles can be used only to redeem tickets or other items; they do not count toward achieving next year’s MVP status. The same fliers earn bonus miles if their ticket is booked in one of six of the 15 fare classes that grant bonuses. These miles do qualify toward elite status. Then, there are the flights on the airlines’ partner carriers. Flights on partner airlines offer miles, but fliers may need more of them to achieve status. The Alaska flier needs to fly 20,000 miles on Alaska to achieve MVP status, but 25,000 miles if some miles were earned on partner airlines. Alaska Airlines offered a post on its website this month with tips for fliers hoping to earn status. Alaska does not require spending minimums, but for those airlines that do, money spent on a plane ticket will usually go toward elite status; spending on things other than flights using an airline credit card will usually not qualify. Flights booked with a partner airline may earn qualifying miles but not dollars, or follow some kind of percentage formula for credit. There are quirks throughout the complex system. For example, the lowest-fare ticket class, Basic Economy, may be counted as only half the miles flown or half a segment flown. Spending on airline credit cards may not generally count toward elite status spending requirements, but a customer may be granted a waiver if a certain high spending threshold is reached. Each airline has its own set of rules and formulas, and all make changes from time to time. And some airlines will try to attract valuable passengers away from competitors by offering to match the passenger’s elite flying status with their own. The flier must then meet the flying and spending requirements of the new airline within a certain period to maintain that status. It all adds up to a daunting set of rules for frequent-flier programs. As Gary Leff, creator of the travel blog View From the Wing, put it, airline customers need to believe that it’s worth spending the time to wade through the rules and plan their travel in a way that benefits them. Travelers should keep in mind, Mr. Leff said, that the airline programs have become less rewarding. Tickets cost more to redeem, and because flights are fuller, they are harder to redeem, he said. The airlines do not release figures on the number of frequent fliers. But Mr. Leff said he believed that the number of elite status fliers had actually increased from a decade ago. That’s because more people are flying more miles now, he said, and because airline mergers have made it easier to concentrate trips on one brand. Those who attain elite status can get hooked on the benefits. 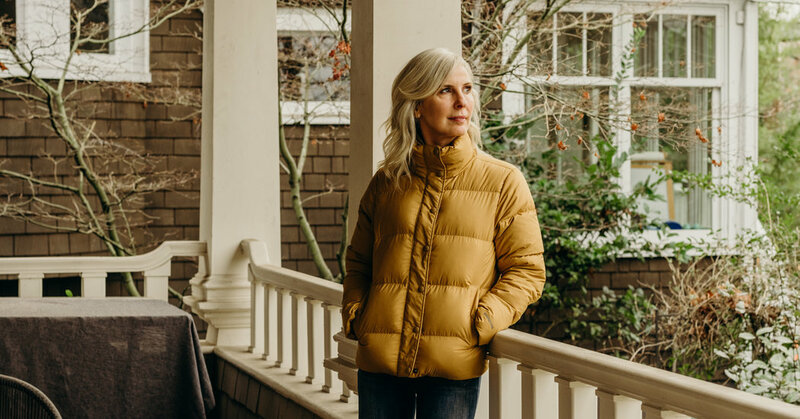 Andrea Umbach, an executive coach in Seattle, found that her Alaska status meant she could change or cancel an Alaska ticket without a fee. “I could book a trip to a client meeting or conference far enough in advance to get a good price, but could change it without spending a lot if my plans changed,” she said. That helps her manage her business expenses. Ms. Umbach is spending January looking at her plans for travel this year with an eye on retaining her MVP Gold frequent-flier status — the second level of status. She plans to check in on her progress periodically and make extra flights at the end of the year if she needs to. For those who like to plan ahead, January is a good time to read airline and credit card website details and think about the next 12 months of travel, Mr. Leff said. Travelers should look at airlines’ schedules and destinations, and the benefits offered at each elite flier level. Then, he said, they should approximate the travel they will do and see what status levels they can achieve. If a traveler wants to take a long flight, mainly just to earn miles, Mr. Larounis suggests taking those “mileage runs” early in the year. There are lots of great deals on long flights in January and February after the holiday rush, he said, and padding the mileage account early in the year reduces the stress of putting together last-minute trips later when prices may be higher. Gaining status early in the year also gives the flier more time to enjoy the benefits. On Southwest Airlines, for example, fliers who cross the 25-flight or 35,000-point threshold requirements receive “A-List” benefits immediately, and those benefits extend through the calendar year in which the status is earned as well as the next calendar year. Some airlines give customers who are close to a cutoff at the end of a calendar year the chance to buy their way into a status level. Paying can be an expensive way to go, Mr. Leff said, but can be less of a hassle than taking an extra flight just to rack up miles. On Delta Air Lines, miles earned above a “medallion tier” threshold are rolled over to give fliers a jump start on next year’s totals. If, for instance, a passenger has flown 30,000 medallion qualifying miles with Delta at the end of the year, that is enough to qualify for the 25,000-mile platinum status, and the extra 5,000 miles will be rolled into next year’s total. Ms. Umbach said she mainly kept up her elite status for business reasons, but the little touches mattered, too. She said she flew from Seattle to Boise, Idaho, about once a month to help take care of her parents, and the airplane she takes is small without much food or beverage service. “A flight attendant always comes to my seat to thank me for me being a Gold flier and gives me a chocolate bar,” she said.